You can Save Hundreds or Even Thousands Today! Are you ready to make an educated move for your next Chevrolet car, truck or SUV? Well you've come to the right place! 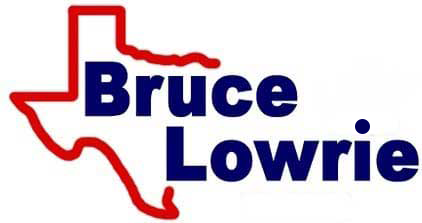 Bruce Lowrie Chevrolet in Fort Worth, TX is offering huge discounts to college students on many new 2019 and 2018 Chevy vehicles. That means you can get a great new Bolt EV or a rugged, go-anywhere, do-anything Tahoe for less than you would normally pay. Plus, if you have a trade-in you can save even more! Ready to learn how you can save money on your next vehicle purchase from Bruce Lowrie Chevrolet? It's easy! All you have to do is show us that you are a current college student or have been a college student within the last two years. That means you can be an undergraduate or graduate student, or if you're already graduated, it can be from a two or four-year college. Evidence of enrollment in an associate, undergraduate or graduate degree program. A diploma dated no more than two years before the vehicle purchase or lease, from a four-year bachelor’s degree, a two-year associate degree or a graduate degree program. That's it! If you meet the above criteria, you can head over to our Dallas, TX area dealership to explore our great lineup of qualifying Chevy vehicles right now. It includes the new Chevy Silverado, Impala, Spark, Volt and so many more! In fact, our team is standing by to get you into the Chevrolet of your dreams with this great deal from GM. When you're ready, browse our online inventory, find your ideal ride, then reach out to our Arlington, TX area team to get set up for an exhilarating test drive right away. We understand that many of today's students and recent graduates juggle a lot. You have your studies, jobs, and your social life – all of which require your attention. Make everything a little easier by getting a car, truck or SUV you know you can count on time and again. That's what a vehicle from Bruce Lowrie Chevrolet brings to the table. And since our dealership prides itself on taking care of our customers even after they've driven off of our lot, you can also visit our service department when it comes time for your new ride's scheduled maintenance. Oil changes, tire rotations and more – we've got you covered. So make the smart choice and head over to Bruce Lowrie Chevrolet in Fort Worth, TX today for your new Chevy purchase or lease. We can't wait to meet you!